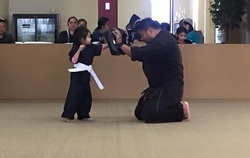 In conjunction with the City of Chula Vista and the Otay Recreation Center, Gacuya's Kenpo Karate holds classes here on Mondays and Thursdays. Each class session is 10 weeks long and costs $50 for Chula Vista residents and $60 for non-residents. Contact the Otay Recreation Center for session dates and registration. 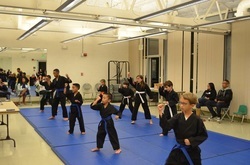 Ninjas will learn the basics of Kenpo which includes blocking, kicking and punching. This will help provide a solid foundation for our younger students who will eventually transition into the Junior Class. 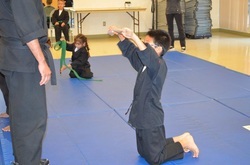 The Juniors are required to learn/memorize 10 self defense techniques, 1 Kata, and basics per belt in order to advance to the next level. This class is intended for students ages 12 and up. This class will explore the fundamentals of Kenpo and its application into self-defense.